Marriage More Podcast - Making Your Marriage More - Relationships | Couples | Intimacy | Christian | | Listen Free on Castbox. Jeff and Mandy Rose have been married for over a decade and they've been through it all. Their podcast is designed to help couples make their marriage more by going through various Love Challenges. On Season 2 Episode 3 of the Marriage More podcast, Mandy and Jeff take some time to talk about dealing with the difficulties of raising a "spirited child". For any parent that can relate, this is a MUST listen. 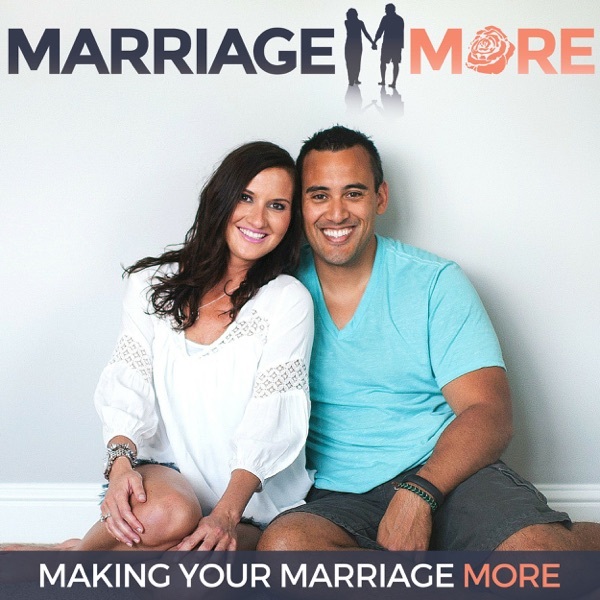 MM 091: When You Have One of "Those Kids"
Jeff and Mandy are back with episode 2 of Season 2 of the Marriage More podcast. In this episode they discuss the premier of their reality TV show that recently aired on TLC. The first show primarily focused on the couples "lack of intimacy", how Mandy doesn't ask for help with the kids, and Jeff's inability to unplug from his businesses. But is that really what happens "behind closed doors"? Tune in to the podcast to find out! MM 090: It's been "a while"... or has it? MM 089: We're Back!!! And We Moved to Nashville??? --- What the what? Learn Jeff's take when he answers a community members question on how she can help her husband become more of a spiritual leader in their household. The Love Languages have had a major impact on the Rose's marriage and many in the Marriage More community swear by them, too. Here's an updated discussion on their Love Languages. How did we get here? It's a question many couples ask themselves when they wake up and realize the person (the spouse) that lives in their house feels like a stranger. You're not connected anymore and you've grown apart. Here's how to recognize if you're drifting in your marriage and how to fix it. Join Jeff and Mandy as they have deep conversations about their marriage while preparing for bed. Okay, they're not really that deep but they are enjoyable. Learn the one thing that Jeff had no idea his wife doesn't like even though they've been married for 12 years. What a fun interview this was! Jon Acuff is a NYT best selling author, speaker, and the wittiest person we've ever met. Jenny is a rockstar wife and isn't afraid to tell it how it is. Together they've been married for 15 years with 2 daughters and they are a blast to be around. If you don't like to laugh, then avoid this podcast episode because we were laughing in the first 3 minutes. "No Shave November" visited the Rose household for the first time but was cut (or should I say "trimmed") prematurely. Find out why from the Rose's bedroom.